Does anyone really need an excuse to pop that cork and let out the bubbles?? 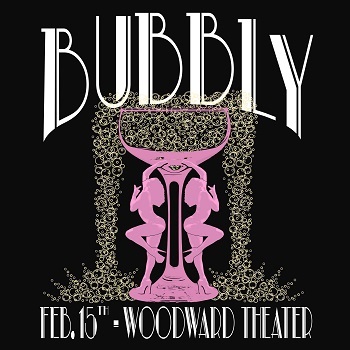 Join Passion Productions for Bubbly, a Valentine's Day soirée celebrating love, life, champagne, and the 1920's! On February 15th, guests will enjoy a unique Art Deco inspired atmosphere in one of Over-the-Rhine's historic theater venues, The Woodward Theater! The evening's entertainment will feature dazzling aerialists & dancers in an atmosphere perfect for toasting with your special someone. So save the date and stay tuned for more details!